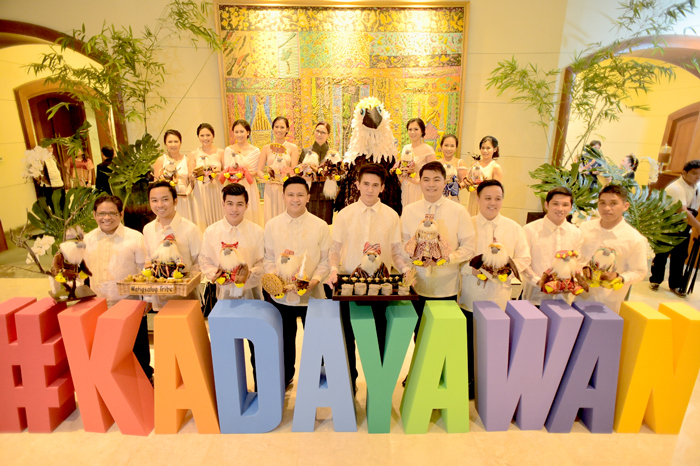 Marco Polo Davao, Mindanao’s premier hotel, kicked-off the Kadayawan celebration by featuring the culinary prowess of the hotel, arts, fashion, and the rich culture of Davao City. 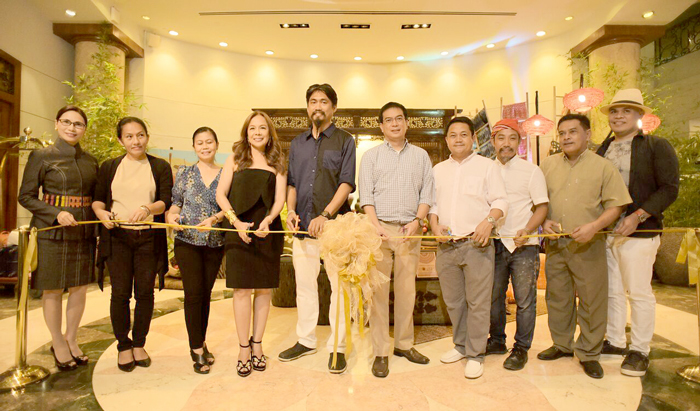 The event dabbed as Fashion and Fusion is a fun and remarkable combination of fashion show, environmental advocacy, art, food exhibit and exquisite gastronomic offerings of Café Marco. 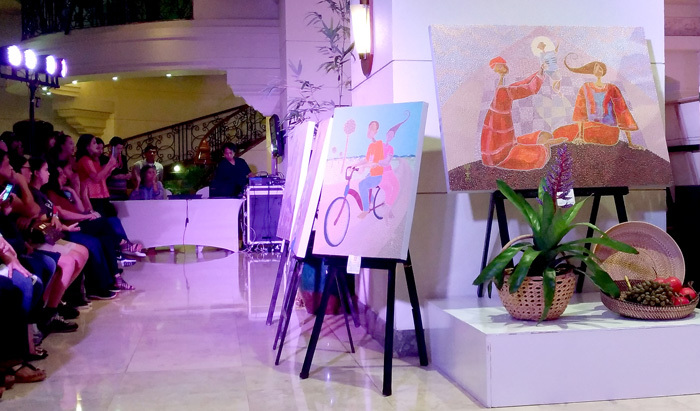 The night started with an art appreciation of the 40-piece art series by a home-grown Mindanaoan artist, Mr. Victor Dumaguing. I love how all the paintings in the series were depicted in restrained and muted colors. The series which evolves mainly on family, community and relationship is the artist’s glaring expression of the evolution of life. To me, they're masterpieces so sublime and sentimental. You may like and take home one, they're up for viewing until August 31, 2017. The highlight of the event was a fashion show like no other. 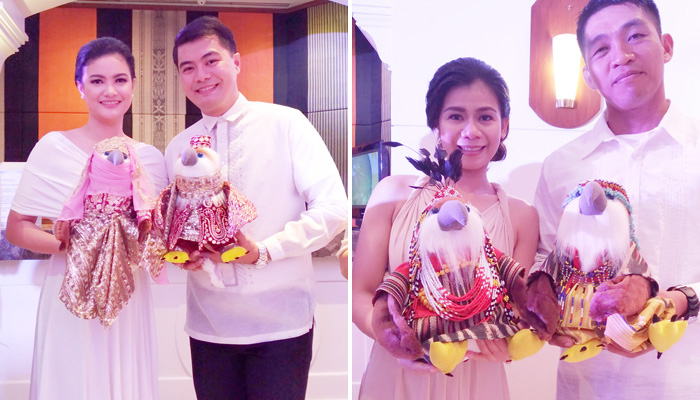 Eleven pairs of stuffed toy eagles were dressed in traditional garb of the eleven (11) tribes of Davao and were paraded for the guests to see. Dressed in white multi-way gown, the associates of the hotel, who were dolled-up my Xana Patal, took their time off to carry around the ramp the charming birdies. GM Dottie Wurgler-Cronin also took the famed walk to show-off the dressed eagles. The birds were then offered for bidding. 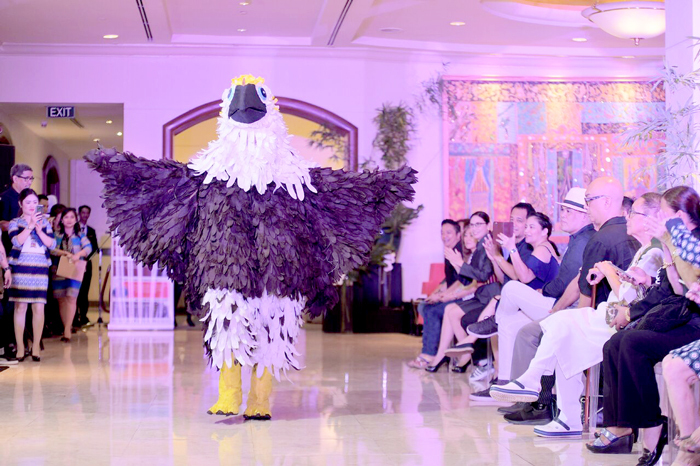 And since eagles are monogamous and only stick to one partner for life, they were bidded in pairs at P2,500.00 as the starting bid. 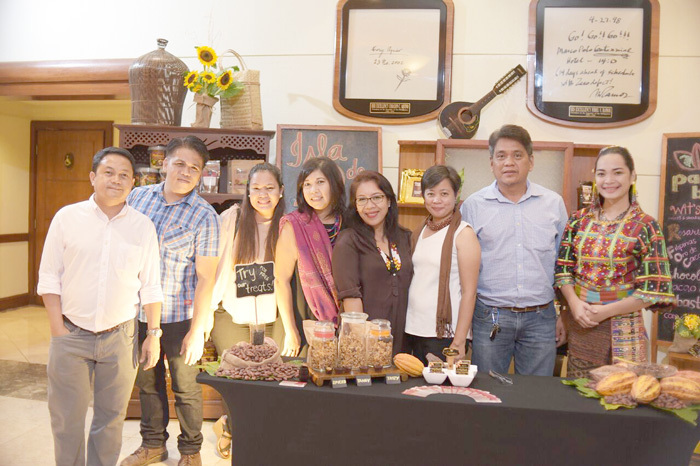 All proceeds of this initiative will go directly to Philippine Eagle Foundation. 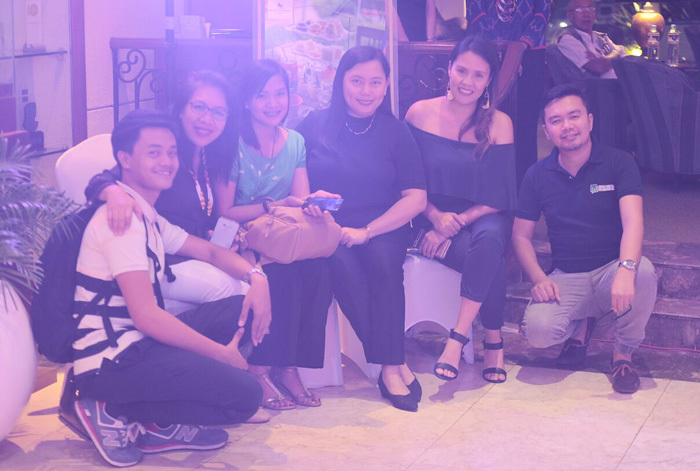 The event was graced by guests from Hijos de Davao Foundation, the City Tourism Office, Davao City’s Diplomatic Corps, Department of Tourism and regular guests. The lobby was accentuated with revered T’nalak Home artistry and indigenous instrument collection of Arch. Jose Racho. 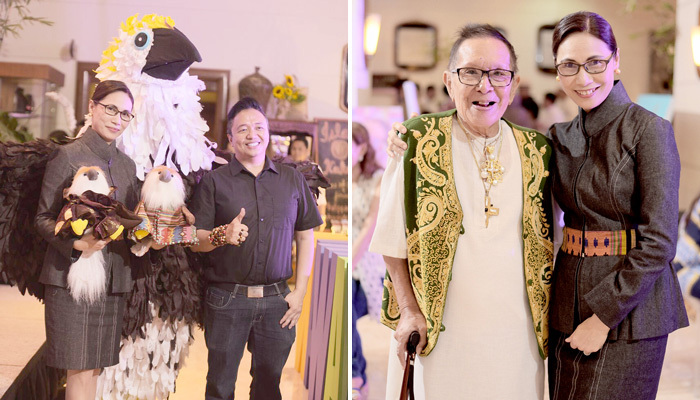 The stunning tribal and ethnic vibe on the rest of the hall was designed by the hotel’s florist, Mr. Dionelo Balofinos. Aren't they lovely? A Closer look at the daintily dressed eagles. Up for bidding, starting at P2,500.00/pair.